This was truly a "fun" murder mystery!! Strange I know-but the characters were just that-characters-each and every one of them. And this book definitely proves that old adage that looks can be deceiving. Mary owns an Ice Cream Shop where people come and pay for Ice Cream--normal right? Well, along comes Jerry (as it turns out at his Aunts insistance) who opens an Ice Cream shop but he just gives it away for free!! Jerry is not exactly a business person---This of course starts the Ice Cream War!! But then someone is murdered in Jerry's store. Mary kind of knows he didn't do it and since she is about the only one in town with an ounce of brains-she is out to prove Jerry innocent. Between Mary and Jerry they have everyone confused so everyone just agrees with them!! That's all I'm going to tell you--just know that this is one of those books I really enjoyed reading -even while shaking my head in disbelief!! OH--I did not guess who the murderer was and I bet you won't either!! A mystery of rival ice cream shops in a small town in middle America. Jerry, a California surfer, returns to his home town and opens an ice cream shop where he is giving away his ice cream. This threatens Mary owner of the only other ice cream shop in town with disaster until there is a murder in Jerry's shop. Mary find herself reluctantly trying to prove that Jerry didn't kill anyone, although she thought of killing him to save her shop, and Jerry ends up working beside her in her ice cream shop. The plot continues to become more and more complicated as Jerry's friends from California show up carrying drugs and threats. Between the "war" and the murder things are getting as sticky as fudge in a hot July day with four year old murders adding to the mystery. Soon it looks like Jerry and Mary will be the next victims if they are not arrested by the DEA first. Paul is the middle child of three boys, born and raised in New England. Though he is now a practicing Emergency Department physician, his formal education began at the Boston University College of Engineering. He worked briefly for NASA during the Apollo project where one of the engineers convinced him to apply to medical school. Paul went on to attend Boston University School of Medicine intending to pursue bio-medical research, but grew to like the practice of medicine too much to give it up. While working at Boston City Hospital (now Boston Medical Center), Paul met his wife, Mary. She was his supervisor, but he somehow managed to get up the courage to ask her out and eventually, to marry him. That was 39 years ago. The couple spent their honeymoon year in Eastern Kentucky, Appalachia, because they wanted to go somewhere that really needed physicians. With breaks to return to their training, the year extended to six years. Paul and Mary understood that if they were not there, it was likely that no one else would have been. Exhausting work, but fulfilling. Paul did end up doing research, publishing a dozen articles including three pieces in the prestigious New England Journal of Medicine. One of the articles outlined the response of patients with renal failure and bleeding, and became the basis for the current treatment of these patients, still in use almost forty years later. Paul's favorite journal publication was co-authored by Deepak Chopra, who was an endocrinology fellow at the time. It was Deepak's first time being published, but certainly not his last! Since that time Paul has certified in Internal Medicine, Cardiology, and Emergency Medicine. He practices now in Lawrence, MA, in one of the busiest ED's in the state, and in one of the most medically underserved areas in the state. Paul is actively involved in teaching Family Practice residents, and was the director of the Massachusetts chapter of the American College of Emergency Physicians' course on board exam review and preparation until five years ago when the course was closed. 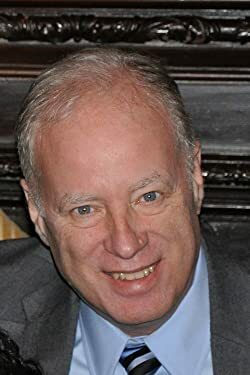 He has written several articles for traditional print publications and online sites, along with a biweekly humor column in the local Newburyport, MA newspaper, titled: The Port Planet. In addition to being a writer, Paul is a musician who performed locally, with recorded music available online. Paul says "Mary and I live in Georgetown, MA, on a small farm of sorts with chickens and dogs and cats... and love. My family is one of my greatest joys, especially the adoption of my two daughters from Ecuador, now twenty years ago. They have added meaning to our lives and expanded our cultural adventures." This sounds like a really fun book to check out! Ah I wondered how the title was connected when I saw it, you have me smiling just reading about the description of the story, love it. I love it when a book totally shocks me like that. It sounds like a great read. Aww, I had pictures in my head of food fights with ice cream! But a good murder mystery I would enjoy - thanks for the review! I love a mystery, so I think one with some comedy thrown in would be great! 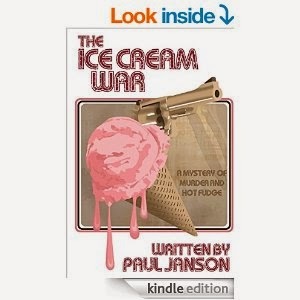 I adore murder mysteries that are food themed like ice cream shops, sandwich shops and things like that. So much fun for me. Who would have thought to pair ice cream with murder but it sounds intriguing. Now this does sound like a quirky, but fun read. Kind of like a Janet Evonovich novel! The suspense in this book is just perfect for mystery buffs. I think it will be a great read. I'm not usually interested in murder mysteries, but this one does sound like it would draw me in! Sometimes we need the "fun" reads - those ones that really are quick reads, but still aren't non-nonsensical. Ice cream and murder? How can I not read something as interesting as that?! !